Since there is some notable confusion between certain colors of LED lights, we have created a comparison photo for you. 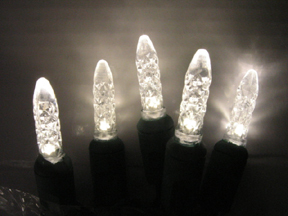 On the far left is a long-filament incandescent "mini" light. 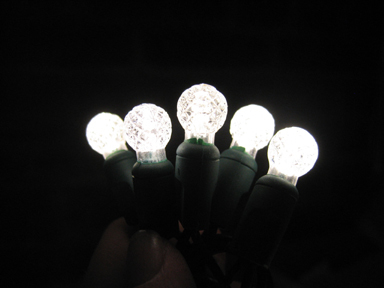 Being that we sell LEDs almost exclusively, I didn't have a regular small-filament mini bulb to photograph. However, the color will be very similar. Next is our new Warm White LED. Note that it's not as yellowy as the incandescent. 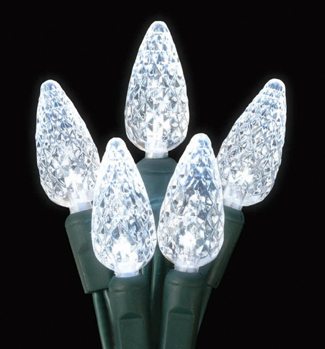 Third is the common White LED. It is a cool white color, and thus appears to have a blue tint. The bluish really stands out when this light is placed next to a "warmer," that is, yellower, color. Finally, the light on the far right is representative of the "Antique Candlelight" so named by some manufacturers. It is essentially the same as Amber (some people call it yellow), so we consider them to be the same, because the differences between Candlelight and Amber are almost nil when the sets are illuminated. We also include "Gold" in the same category as Amber. 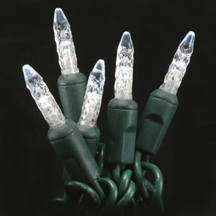 Some people have compared White LEDs to fluorescent "cool white" bulbs. 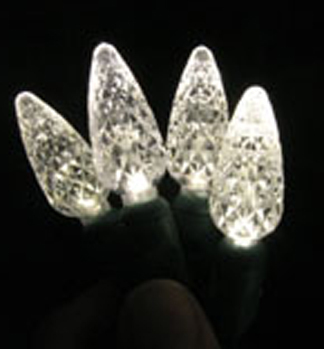 White LEDs remain extremely popular (typically, the top-selling color!). 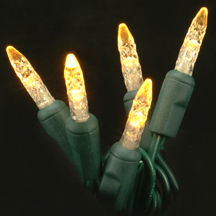 Warm White LEDs are brand-new for 2006, and so far sales have been brisk. If you're not sure which to order, why not order one of each and compare them? We will accept returns on product you do not want, so you risk nothing but shipping costs. Note: We reserve the right to charge a restocking fee if the lights are not returned neatly, like new, in their original packaging. 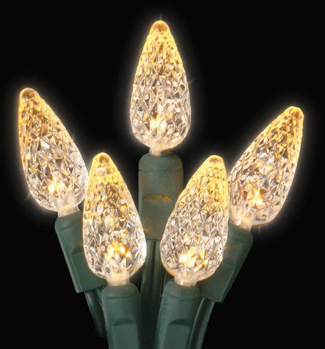 Click the images below to shop for Warm White, White, or Amber lights, or click here to go to the home page.